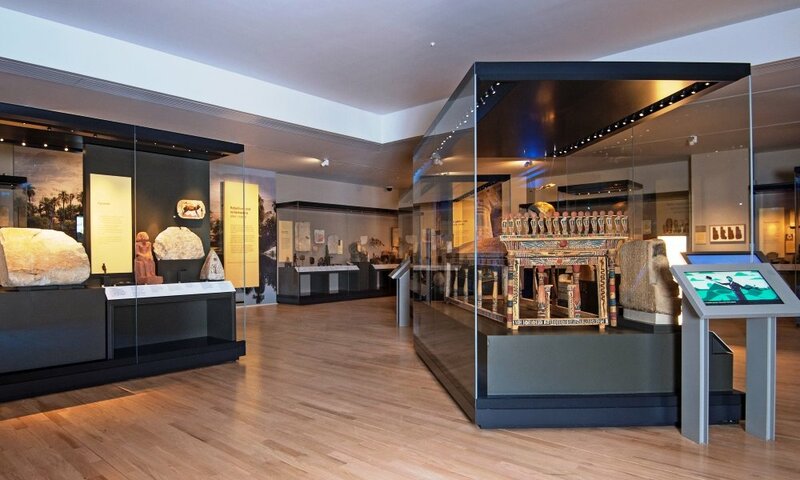 The opening of Ancient Egypt Rediscovered coincides with the 200th anniversary of the first ancient Egyptian objects entering National Museum of Scotland’s collections, which attract three million visitors every year. The gallery explores how this civilisation has evolved across more than 4,000 years of history and outstanding objects include the only intact royal burial group outside of Egypt, a Great Pyramid casing block and a block cast of the original Rosetta Stone discovered in 1799. 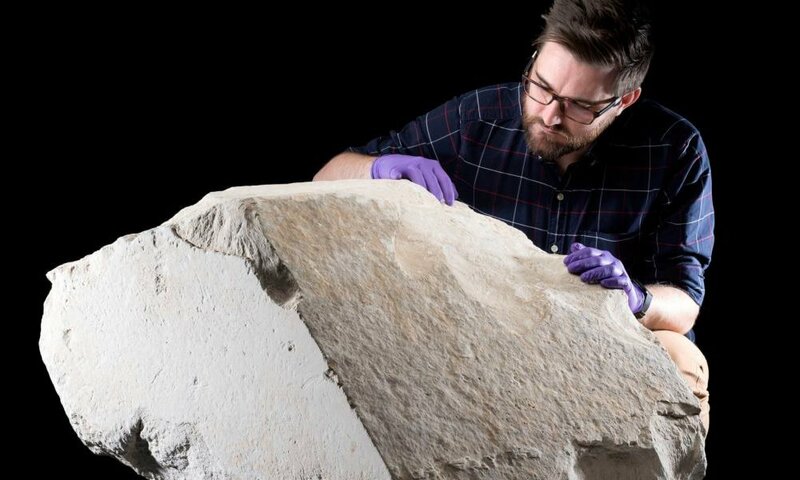 The Rosetta Stone cast is one of the four original plaster casts produced in 1802 and sent to Universities in Oxford, Cambridge, Edinburgh, and Dublin for experts to decipher. 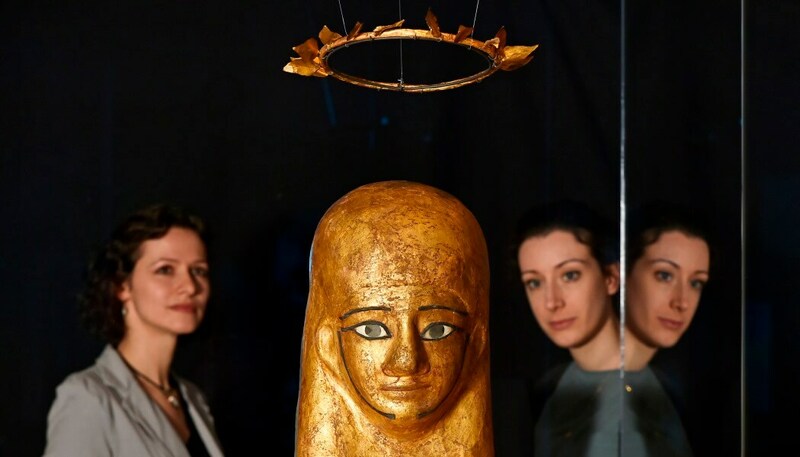 The one on display came to National Museums Scotland from the University of Edinburgh and was rediscovered during an assessment of the ancient Egypt collections in preparation for the new gallery. Great Pyramid casing block Dating to c 2589–2566 BC. It was brought to Scotland for Charles Piazzi Smyth, the Astronomer Royal of Scotland, who conducted the most accurate survey of the Great Pyramid to date in 1865. Authorities in Egypt were keen to know how it had come to be in a Scottish museum but had never been on display. Museum director Dr Gordon Rintoul has resisted calls for it to be returned and says all the paperwork is in order. Ancient Egypt Rediscovered, Exploring East Asia (both next to each other on level 5) and the Art of Ceramics (level 2) present ‘internationally significant collections in compelling and inspiring ways’. More than 1,300 objects have been selected for the galleries, 40% of which go on display for the first time in generations. During the course of the 15-year transformation project the museum has added 29 new galleries showcasing 13,000 objects. The museum building dates back to 1861 when the foundation stone was laid by Prince Albert for a new Museum building, then named the Industrial Museum of Scotland although its roots go back to 1780 – the height of the Enlightenment – with the formation of The Society of Antiquaries of Scotland. In 1998 a dramatic modernist building was added to the museum and houses collections telling Scotland’s history from earliest times to the present day. As part of the masterplan stairs, lifts and escalators were installed to make it easier for people to get around the museum and many of the original architectural features were reintroduced after being buried under modern additions such as old archways which had been bricked up. 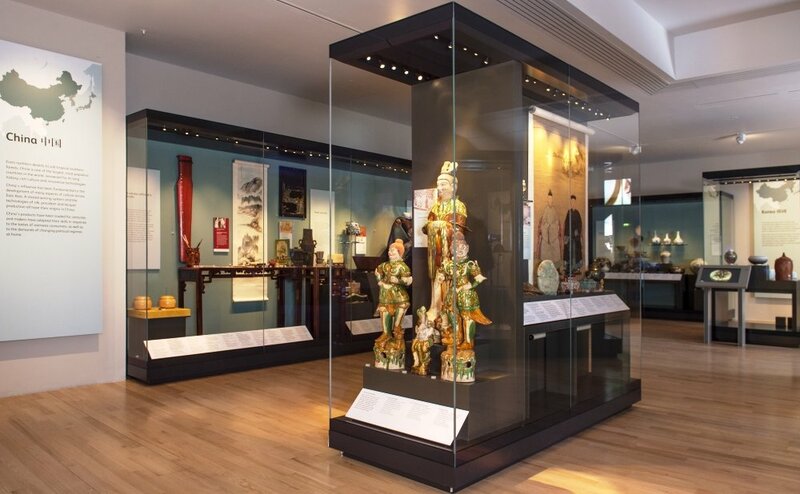 The new Exploring East Asia gallery celebrates the dynamic cultures of China, Japan and Korea, displaying their diverse traditions, peoples and histories with 65 objects newly acquired since 2016. The National Museum of Scotland says its East Asia collections are among the most important in the UK and represent over a century and a half of continuous collecting. Highlights include a Chinese lacquerware rice measure from the Ming dynasty, samurai armour and a rare and important Korean lotus-shaped cup and stand from the 13th century. The Art of Ceramics unites themes from across the collections of National Museums Scotland, which celebrates the creativity and diversity reflected in pieces from across the world and over a broad time period, from the 19th century BC to the 21st century AD. The opening of the new galleries is supported by a national programme of activity to extend their reach and impact to partner museums across Scotland, by sharing collections, knowledge and expertise. The first local East Asia exhibition has already run at Perth Museum and Art Gallery (26 May to 27 October 2018) and revealed a rare Korean robe dating from the 19th Century, one of only two in the UK. Three further East Asia displays, supported by digital resources, learning resources and a skills development programme will take place at the University of Aberdeen from March to 23 August, Kirkcudbright Galleries from March to June and Dunfermline Carnegie Library and Galleries from August to November.